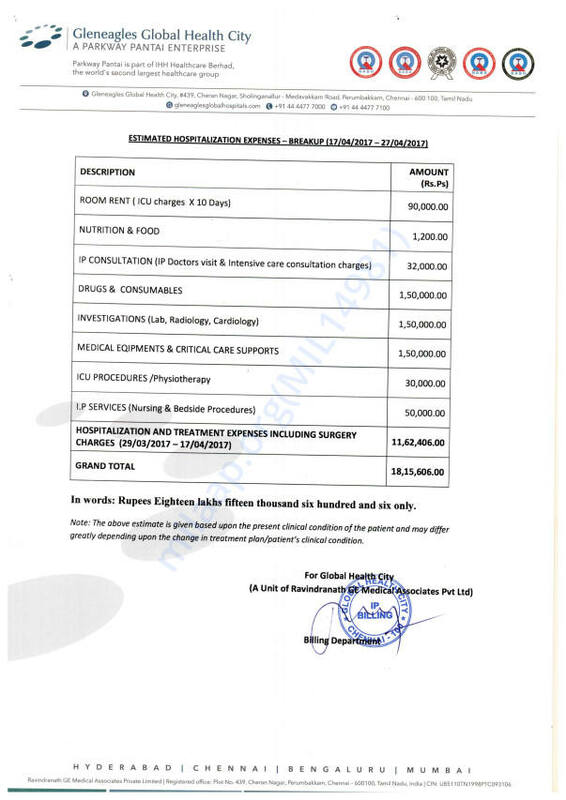 SAVE BABY KAYALVIZHI FROM CANCER ! 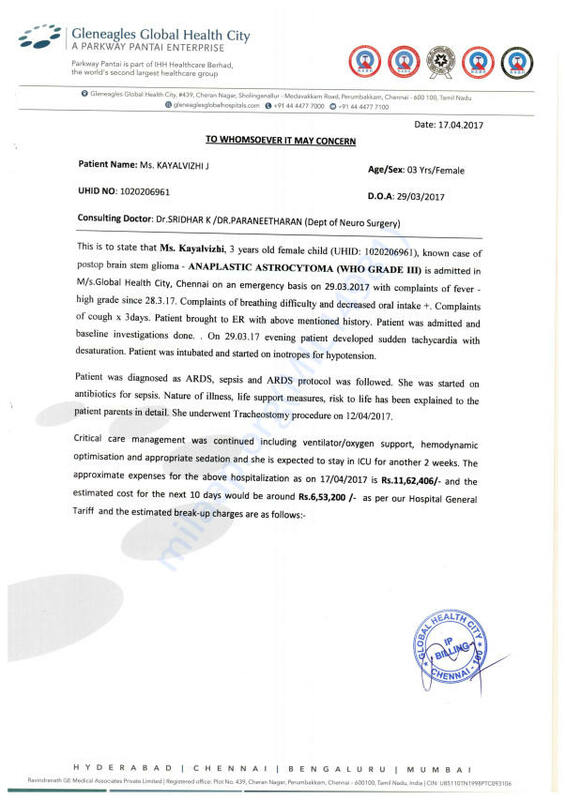 BABY KAYALVIZHI three years old female child was admitted in global hospital for the treatment of ANAPLASTIC ASTROCYTOMA (WHO GRADE iii). 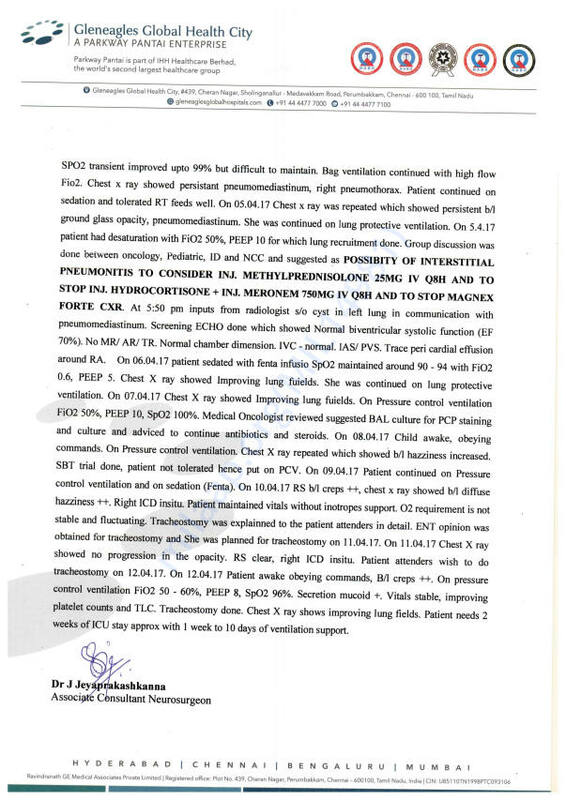 Patient was diagnosed as ARDS, sepsis and ARDS protocol was followed. She was started on antibiotics for sepsis. She underwent Tracheostomy procedures on 12/04/2017. She belongs to a poor family. They have already spent INR 11 lacs. 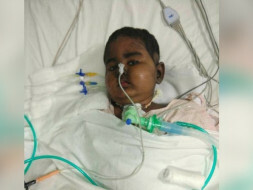 They need 22 lacs of money for her further treatment. Her condition is very critical. Pls donate and help her.. Pls save this child. Baby Kayalvizhi passed away in the early morning hours of Saturday (May 27th). Our hearts go out to this brave child who endured so much pain and fought so hard for her life. For the past few days, she was struggling to breathe and doctors were working on getting her lungs back to normal. Unfortunately, her body was unable to take the stress. A more detailed update will be posted later by Suresh. 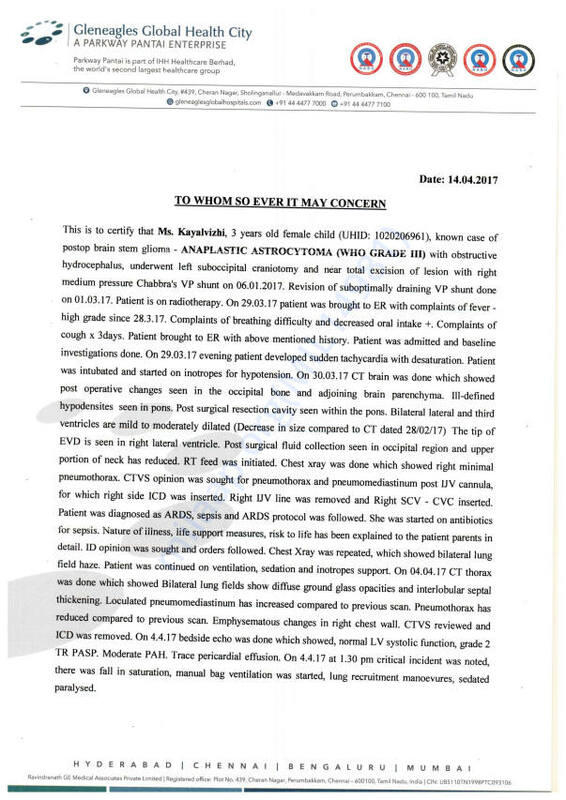 Your timely support ensured that she received the best medical care. The family is grateful for all the care and support you’ve shown Kayalvizhi. The past few weeks have been the most difficult ones for the family. They are now on their way back to their hometown. We hope they find strength in this time of grief. May Baby Kayalvizhi’s soul find peace. Please keep the family in your prayers. We have news to share. BABY IS STILL IN CRITICAL CONDITION HOPE FOR THE BEST AND PLEASE DO PRAY FOR HER. Will keep you updated on the situation. She is in critical care and is not healing well. Please pray for her recovery and help us by sharing this with your network.